Unsolicited life tip: Do not keep your lipsticks in your pocket unless you want to sentence them to certain death. I’m wondering if there’s such a thing as “makeup Mercury in retrograde?” Or am I just cursed to never have another tube of Velvet Teddy again? Because this is the second tube of MAC Velvet Teddy I’ve mangled in less than a week! First there was the tube — which by the way, I’M NOT GOING TO USE — that fell in my toilet. I tossed it out and reordered a tube with the LE packaging from the MAC site. Side note: Breathing an internal sigh of relief *HERE*. Anyway, yeah, that tube in the top pic was the backup I kept on hand for unforeseen Velvet Teddy emergencies (a legit fear), but it’s not in working order anymore because I put it in the pocket of my high-rise mom jeans last week and forgot about it, only to remember when I found it in the washer, completely soaked, after I’d just finished a load. On the bright site, thank goodness it didn’t open while it was tumbling amidst the suds, or even worse, make its way into the dryer. And extra special thanks to the laundry goddesses for allowing me to find it, because I was washing, like, 100 pounds of laundry (seriously, #momlife), and I could have just as easily missed it. Still, though, who destroys two tubes of the same exact lipstick shade in one week? This girl. I’ve come to realize that the common denominator in both of these situations is that I’ve been putting lipstick in my pants pockets lately, which is something I almost never do. I usually put lipstick tubes in my purse or my Kate Spade wristlet, but I guess I’ve been running around like a chicken with its head cut off lately, so my pockets have been the (sadly unfortunate) receptacle of choice. Apparently, this has not been one of my greatest of ideas, because I CANNOT KEEP LIPSTICKS ALIVE WHEN I PUT THEM IN THERE. 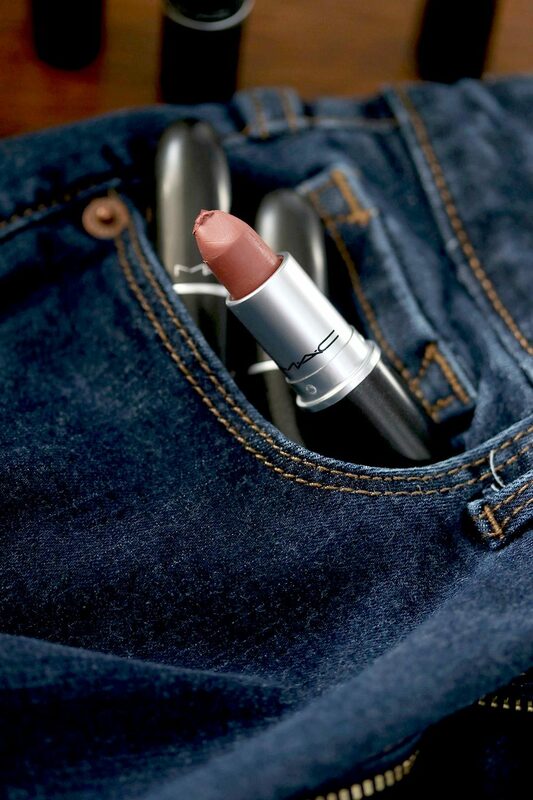 So, that’s it… I’m no longer allowed to carry lipstick in my pocket. Not now, not ever. I mean, you could stick them in your pocket if 1) you have a better memory than I do, and 2) have lightning reflexes that would allow you to catch a tube before it falls into the toilet, but I am no longer officially allowed to do that. No more!